In the last few months, we have received many inquiries here at Clay Floors about the Natural Oil Finishes for hardwood floors. There are always pros and cons to everything; so lets discuss some general information with regard to hard wood floors. 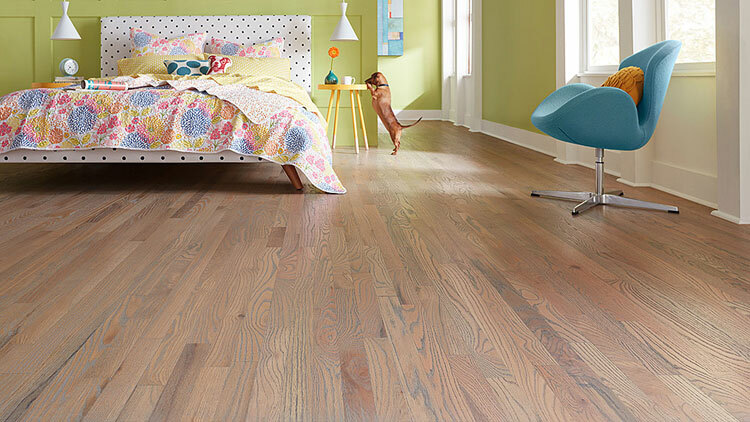 In the world of wood floor finishes, urethane finishes are typically going to be the most popular. Praised for their excellent durability and low maintenance routine, urethane finishes have been the most common finish used on floors for decades. There are a lot of products out there but we remain comitted to our preferred Bona for the best results. Bona is the pioneer of waterbased finishes that meet all state and federal VOC (volatile organic compounds) regulations for air quality standards. These durable finishes have no harmful fumes, so the homeowner doesn’t need to vacate the home when used. Being in business for almost 100 years is quite extraordinary. However, in recent design shows around the nation, penetrating natural oil finishes are making a comeback in commercial and residential design trends. This type of floor is also extremely environmentally friendly and emit zero chemical emissions for those with allergy issues. Many people are returning to natural oil finishes because of their overall organic look and rich patina appearance, as well as their effect on hardwood. Of course Bona has a complete line of colors and finishes for your review as well; and here at Clay Floors in Dallas, we can’t wait to share our knowledge about what is going to work well for you. Urethane finishes are extremely durable and are easy to clean with a dry mop and hardwood floor cleaner. Designing with Natural Oil Finishes – Since a natural oil finish affects the wood directly, many people are choosing oil finishes for their aesthetic appeal. Oil finishes can greatly enhance the natural look and color of a wood species. Oil finishes have a matte finish, allowing for a subtle design element in your home. Oil finishes can be used to give floors a warmer, more rustic look. While oil finishes can bring out a wood’s natural color, they can also make it easy to create custom colors with a wide variety of colors. Want to explore your options with a natural oil finish? Remember that Bona provides a beautiful array of colors for your floor that offer the ultimate durabilty. Keith Clay Floors is a Bona Certified Craftsman that can help you create your beautiful oasis, starting with the hardwood floor.